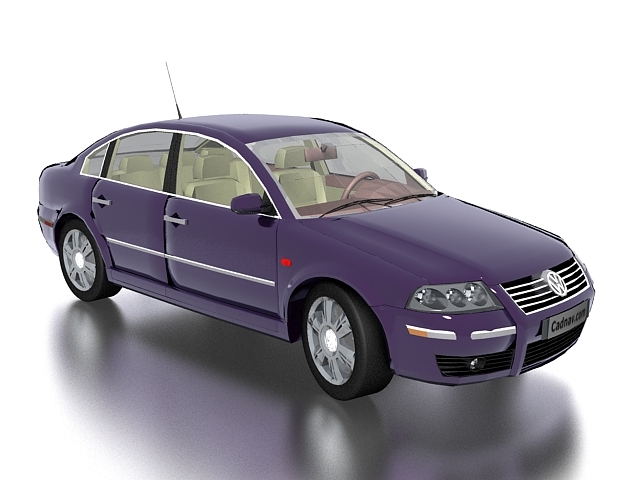 Volkswagen Passat B7 sedan 3D model for 3d max, purple 4-door sedan mid-size car. Volkswagen Passat is a large family car produced by the German manufacturer Volkswagen. Free download this 3d object and put it into your scene, use it for 3d visualization project, rendering of virtual environment, advertisement design, 3D modeling and animation, etc.